The Propaganda is a cool spring assisted knife with stellar looks and great action. 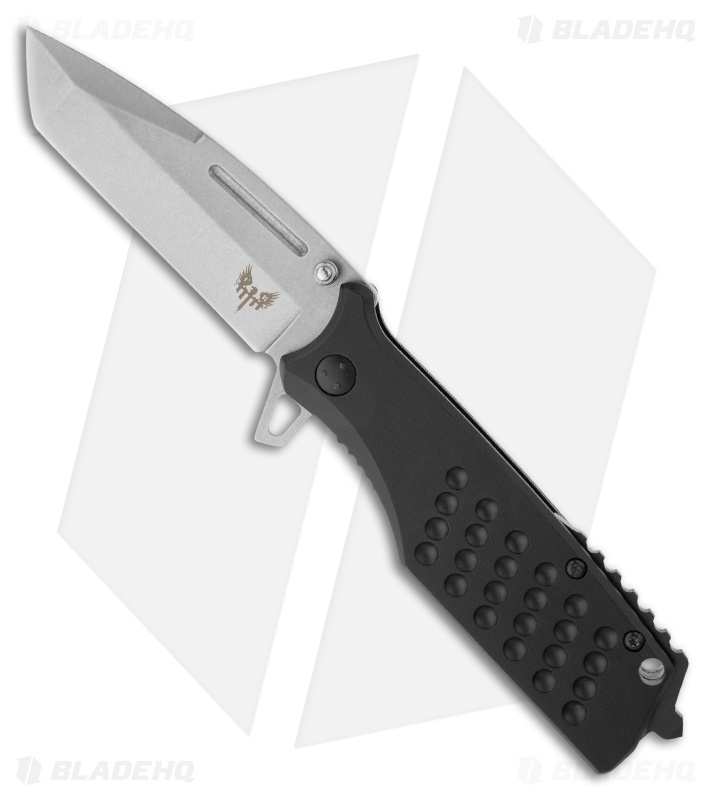 It features a modified tanto blade made from AUS-8 stainless steel with a tumbled finish. The blade opens with just a push of the flipper or thumb studs. Dimpled aluminum scales sit atop steel liners and lock tab. 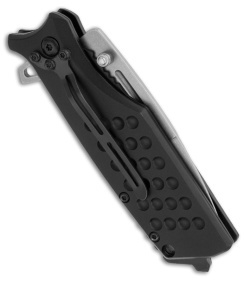 The handle has a chisel/screwdriver pommel and tip-down carry steel pocket clip.